Lakecliff Country Club is a unique blend of custom homes on acreage estate homesites on the edges of Lake Travis. It has beautiful sweeping views of the Texas hill country, and is located on the south shore of Lake Travis off of 71 West and Haynie Flat Road. Enjoy golf and tennis as well as the social club. This is a Arnold Palmer designed golf course, as well as a beautiful tennis club and courts. Residents are also about halfway between Austin and Marble Falls, and only a few minutes drive to the new Hill Country Galleria in Bee Cave and the new Lakeway Regional Medical Center in Lakeway. 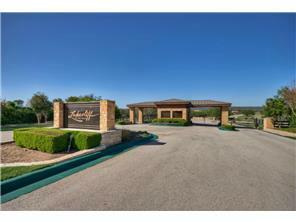 Homes for sale in Lakecliff Country Club typically run from the mid $600's - $1,500,000. Students attend Marble Falls ISD.